If you’re a social media influencer or a blogger with a considerable following and readership count who needs an online business to invest your time in, then affiliate marketing should be along your alley. However, with numerous affiliate programs and networks to choose from, it can sometimes be difficult to differentiate the best from the rest. 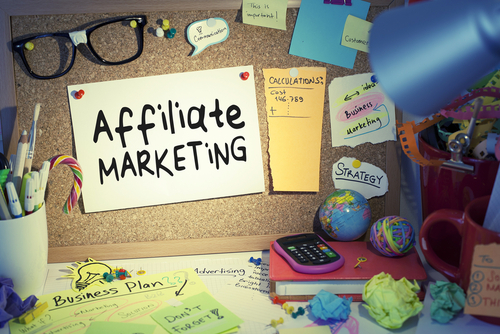 To save you from the hassle of finding out the highest paying ones, continue reading this article and click here to learn more about affiliate marketing businesses and eCommerce. Formerly known as Buy.com, this e-commerce company lists among the top 3 in the industry with more than 90,000 products from 40,000 shop owners and up to 18 million customers. Rakuten LinkShare features an ability to rotate various product banners automatically with one simple code, which can give you the advantage of optimizing your offers instead of manually selecting the ad on your website. They also allow a more adaptive deep linking, which allows increased customization of campaigns for individual landing pages. However, LinkShare only has more than 1,000 partners, which is considerably fewer than bigger affiliate networks. This affiliate program from the second largest brick-and-mortar retailer in the United States aims to help social media influencers and bloggers earn money from selling Target products. As most Americans trust and are familiar with Target, this program can be advantageous to established content creators. With high brand recognition and more than one million items in their catalog, it’s actually possible to earn serious cash even with the program’s low commission rates. 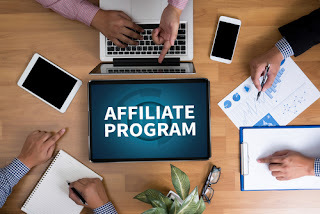 This affiliate program is specifically tailored for bloggers, where it works as an intermediary between the publisher and merchants by examining the publisher’s content and creating links with the highest commission automatically. This is made possible by VigLink’s dynamic links, which can determine the merchants that are offering the highest commissions or conversion rates. VigLink is one of the best affiliate programs out there for publishers who don’t have time to manage affiliate links, but instead focus their time and effort on creating compelling content. As it’s an intermediary platform, this program is also a good backdoor for suspended or banned affiliates from other programs. ClickBank is one of the earliest affiliate marketing programs and is focused more on digital products. After being negatively affected by low-quality products and spam in 2012, CB or ClickBank has updated its process for review and developed an improved dashboard. As stated earlier, this program is primarily focused on selling high-quality digital products and online courses. However, they are now also expanding their offerings by including physical goods. This program is also a good choice for people who want to become an affiliate for the first time, as it allows them to join the program for free. They also offer a joint venture program for established publishers, which enables them to collaborate with various ClickBank partners. This second-tier program offers higher commission rates, but publishers must complete the approval process. Peerfly is a cost per action affiliate network with an extensive list of physical and digital products. Their program also has a second-tier affiliate program that can make you earn 5% of the total sales of your second-tier affiliate within the first year. It also has a well-designed and dynamic website, and offers excellent payout and commission rates. This program is a great choice for well-established affiliates who offer high-quality products and for those who don’t mind the stringent approval process. Although Peerfly still has a limited product offering at the moment, the program is still very competitive with its transparency and high affiliate satisfaction. With the advent of JVZoo in 2011, it has now become one of the more popular affiliate programs on the internet. Their program has no upfront charges for either merchants or publishers, and earns its income exclusively from sales fees charged to the merchant and the affiliate. They also have an instant commission payment via PayPal rather than a weekly or monthly payout. JVZoo only offers digital products, such as online courses on e-commerce and internet marketing. If you’re getting into the online business world, you must know that things can go up and down real quick. Always remember that flexibility is essential to success. Getting into affiliate marketing is a great way to have an additional revenue flow for your business. However, before you dive into any program or network, you should also make sure to do your research and see if the services and products are aligned with your content.